More than 6 million Germans suffer from diabetes. The number of unreported cases is unknown and the number in new diagnoses, also in children, reaches new records every year. A fifth of all health expenditure is due to the mostly avoidable disease. Newest research now clearly proves that more everyday movement is decisive for a successful therapy and prevention of diabetes. A Hamburg specialist physician goes literally new ways together with the Bavarian company Walkolution and introduces the worlds first walking consultation in his practice. statistically 10–20 years of life expectancy. In addition, the risk for heart attack and stroke and other serious complications gets heavily increased. What many don’t know: Not only overweight people are affected. People with a high proportion of so-called visceral fat, the invisible fat around the organs, often gets into a metabolic vicious circle at the end of which insulin resistance and diabetes develop. 88 overweight volunteers with otherwise sedentary office work at walking workstations, with promising interim results regarding metabolic and cardiovascular risk factors. is the cornerstone for the preservation of our health and a prerequisite for high intellectual performance ” says Walkolution co-founder and managing director Dr. Eric Söhngen. He’s himself as a medical specialist and, in addition to patient care, has also worked as a researcher and as an Book author dedicated to the health effects of physical inactivity. Humans are designed to move. 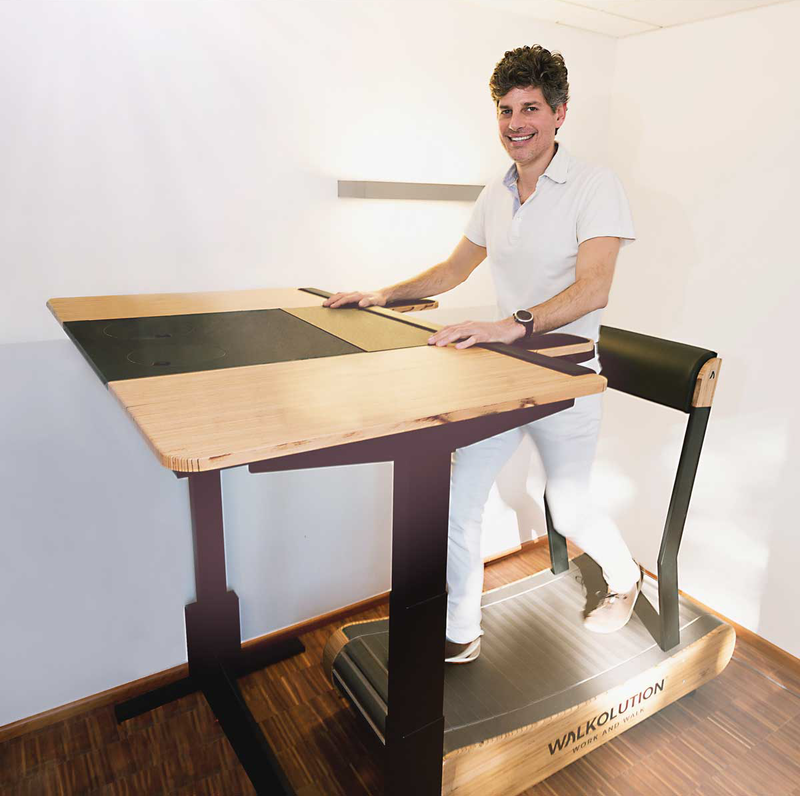 Walkolution is the company behind the revolutionary office treadmill. Noiseless, ecofriendly, Made in Germany. Read the latest news and views from the company that revolutionizes the office.